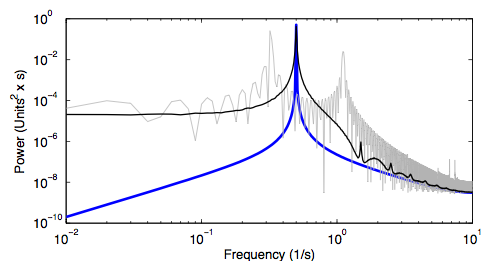 In RH2010, we lay some groundwork in exploring these effects, explaining the distinction between time-uncertain narrowband and broadband spectra. We also discuss one of the time-error models we developed, which permits Monte-Carlo simulation of timescale errors in layer-counted stratigraphic records such as ice cores from Greenland. Similar methods apply to tree rings, ocean sediment cores, and other continuously-deposited records. The narrowband effects have implications for significance estimation, particularly in the problem of identifying Milankovitch forcing in paleoclimate records. The broadband effects are important when studying the connections between short-term variability, climatic timescales (~5 - 1000 yr), orbital timescales (10 kyr - 500 kyr), and geologic timescales (Myr - Gyr).